Breakfast Week has Almost Arrived! Don’t you just love Sunday mornings? Curling up for an eggstra hour or two in bed, reading the papers with a cup of coffee and indulging in a delicious breakfast. Bliss! And this Sunday is an especially tasty date to get in the diary as it is the start of Breakfast Week. Everyone knows that breakfast is the most important meal of the day, but what is it that makes it so vital? Breakfast feeds the body and brain after an overnight fast. (Breakfast really is breaking the fast.) It restores glucose levels, needed for memory and concentration, and filling up on something nutritious means you are less likely to crave naughty mid-morning snacks. So be it a bowl of creamy porridge, some boiled eggs and soldiers or a full cooked breakfast, make sure you start each day with something nutritious and delicious. You might even want to try our favourite – the Omlet Omelette! 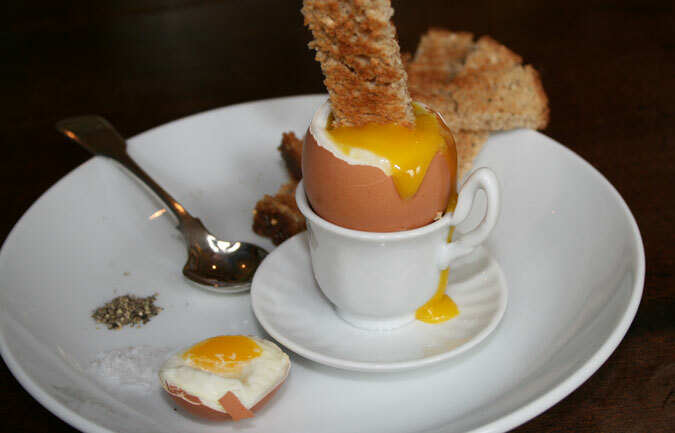 Send us a photo of your breakfast for a chance to win a £50 voucher. Email us, post on our Facebook page or send us a Tweet by Saturday 31st January. Remember to shut your hens in the Eglu when it gets dark and open again in the morning. There’ll be nice and cosy thanks to the twin-walled insulation. Ensure their drinkers are full of fresh water every day. Investing in a spare drinker will make it easier to swap frozen for fresh, or you could try using a water heater. Consider moving the coop to a sheltered part of the garden, away from prevailing wind. 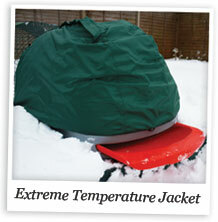 If this isn’t possible make sure you have suitable run covers (currently 25% off). Your hens will eat more than usual to stay warm, meaning an increase in number of droppings. Clean the coop out more often than usual and make sure you pick up the frozen droppings every couple of days. For a warming treat, pour boiling water over feed pellets, stir, and allow to cool. Try adding a touch of poultry spice and you’ve got a pre-bedtime porridge. 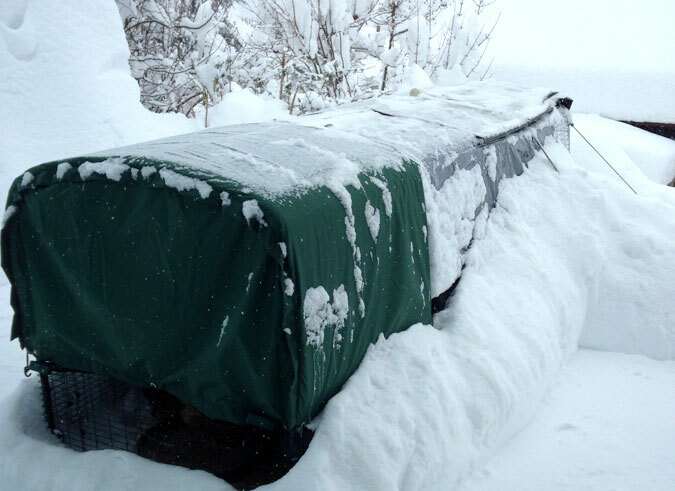 Although your hens will be warm in their Eglu, you can invest in an Extreme Temperature Jacket if you want to give them extra warmth during extremely cold weather. Poor Barbara has had quite an ordeal this week. She left Omlet HQ on Wednesday morning for an eggsibition in Paris, and the poor girl was cooped up in the van for 24 hours. 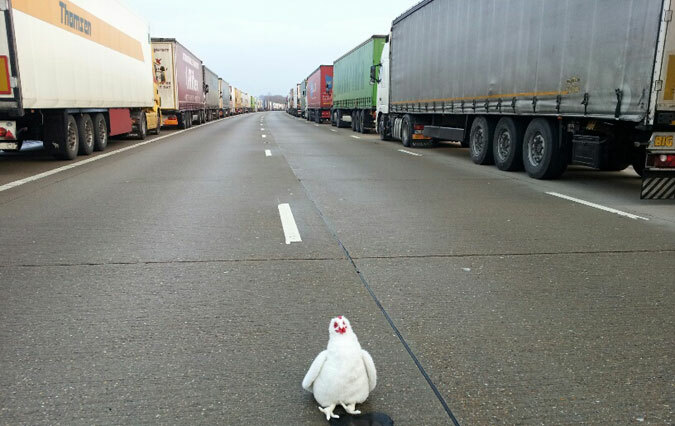 It was a nightmare of a journey, with nothing to do during the traffic jams than hopped out to perform the chicken dance to stretch her wings. After having to roost in the van overnight, with nothing but a bag of popcorn to peck at, she was quite alarmed to be woken by police sniffer dogs, checking that there was nothing suspicious in her nest. Quite eggsausted, Barbara finally arrived for the Maison & Objet show, where she had just hours to set up the Omlet stand ready for its opening today. Should you be visiting this trade show, please do go and check up on Barbara for us, and perhaps take her a mealworm or two for an energy boost. She’s a good old bird! Omlet Australia will be eggsibiting at the Bungedore Show, in New South Wales, on Sunday. Should you live in the area and fancy popping along why not go and say hello to Lara. Lara has recently moved back to Australia to look after the business and she’ll be able to help you with any orders or questions. Based in Mosman, her favourite animal is a cat (preferably with silky fur) and she likes her eggs poached, on toast. So, now that you know a bit about her, why not check out the Omlet Australia website! 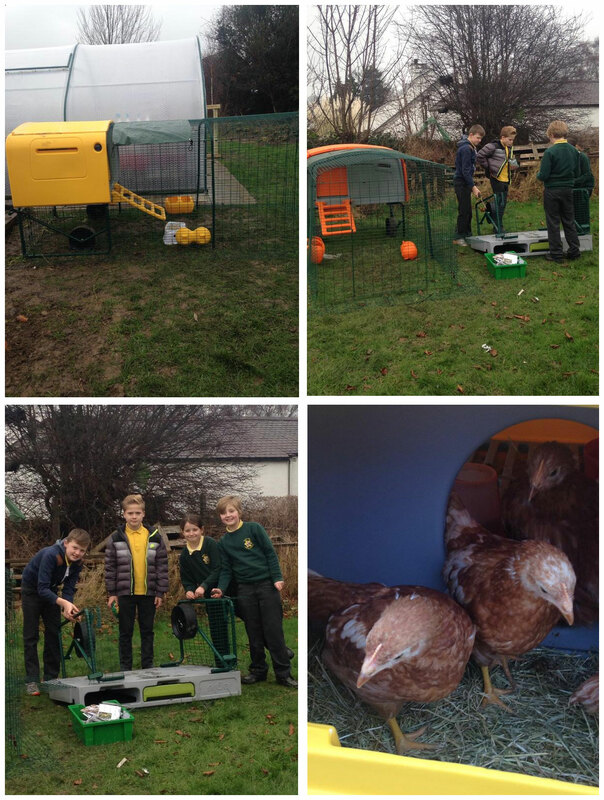 The kids at Ysgol Esgob Morgan School in Cardiff assembled three new Eglu Cubes this week. Well…it’s all in a day’s work for RHS School’s Gardening Team of the Year! They tweeted: We love te @omlet chicken houses … And so do the chicks! We don’t doubt that both kids and chickens are going to henjoy this eggsperience and we wish them lots of luck! Extreme Temperature Jacket for Eglu Classic – An insulated jacket to keep your hens as warm as possible during the deep freeze. Lined with Flectalon, a material developed by NASA to keep astronauts warm on missions. 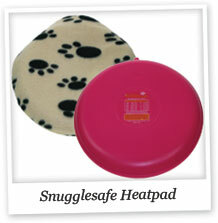 Snugglesafe Microwave Heatpad – Microwave this gadget for a few minutes and it will provide up to 10 hours of warmth. 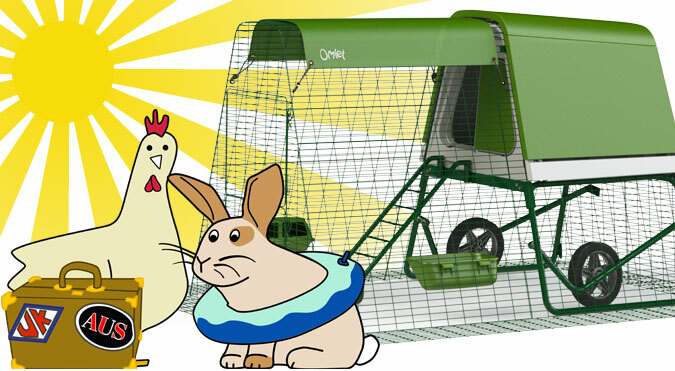 Pop it in your Eglu to give chickens, rabbits and guinea pigs a cosy place to sleep. 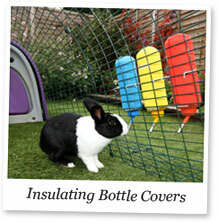 Insulating Water Bottle Cover – Suitable for use with the drinking bottle supplied with the Rabbit Eglu, this will help to regulate water temperature all year. Protecting it from sunlight will also reduce growth of Algae.